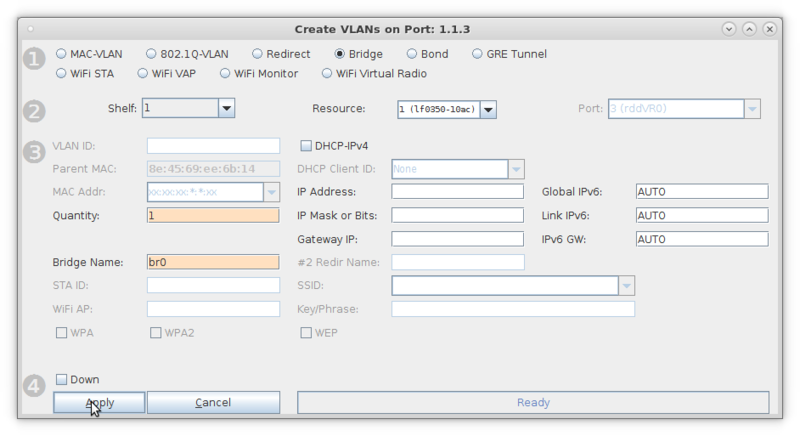 Goal: Setup a Virtual Router with one interface serving DHCP. 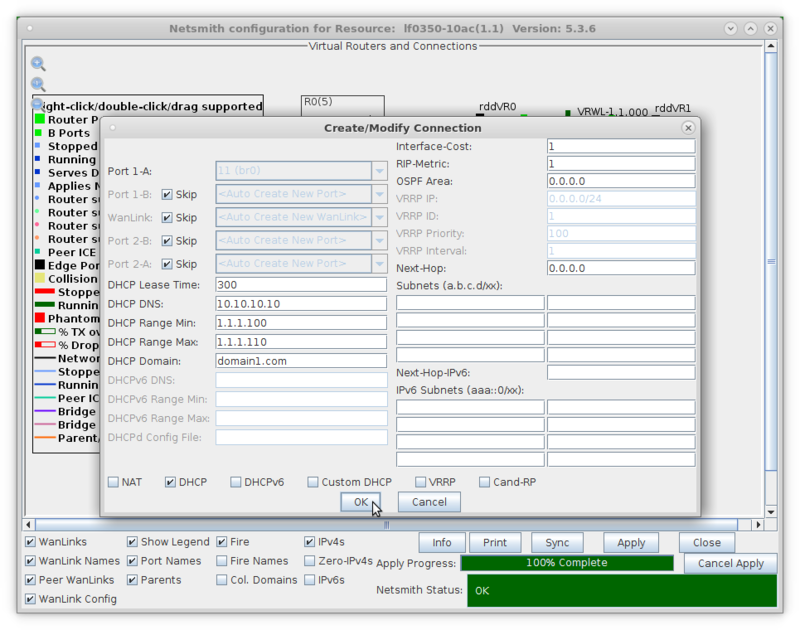 In this test scenario, a LANforge Virtual Router is created with one interface setup to serve DHCP to two remote redirect interfaces that are setup to be DHCP clients. 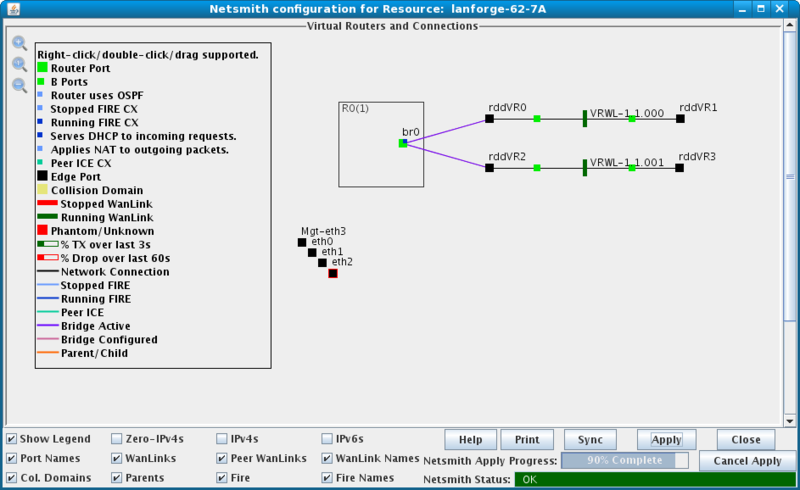 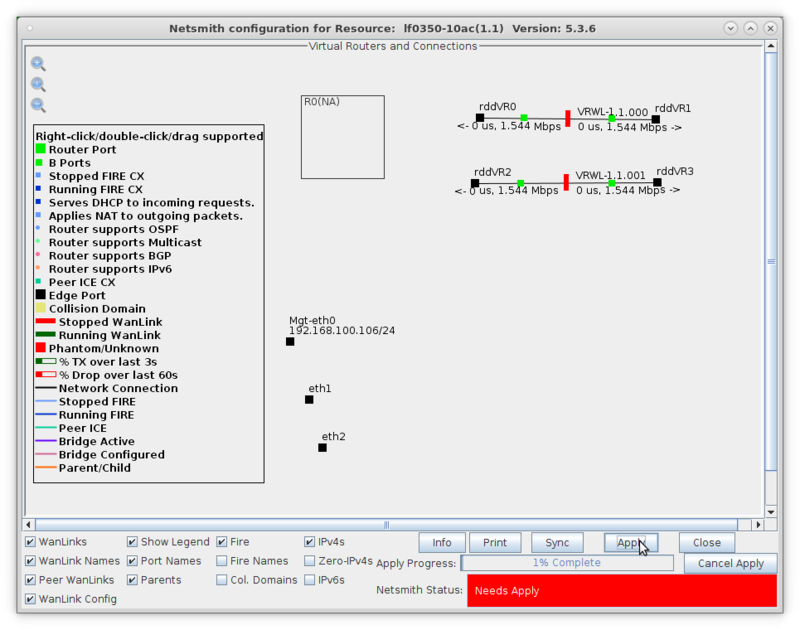 Setup a Virtual Router and two Netsmith Connections. 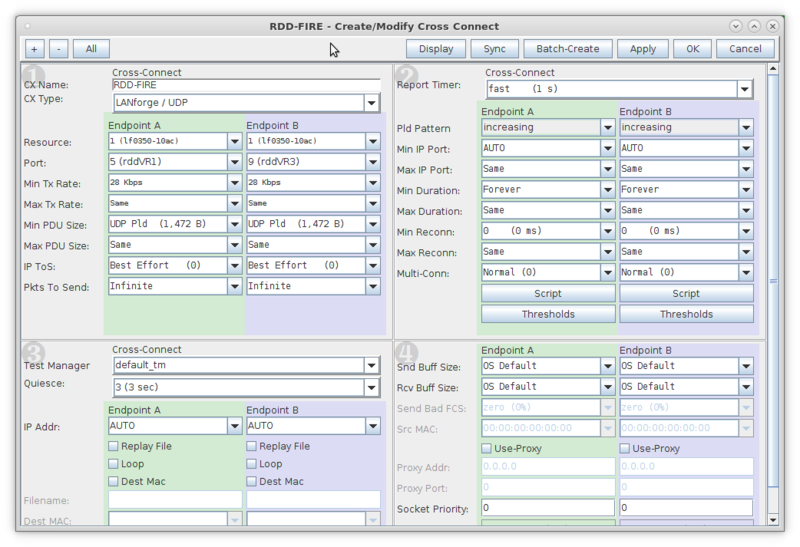 Repeat and create a second connection. 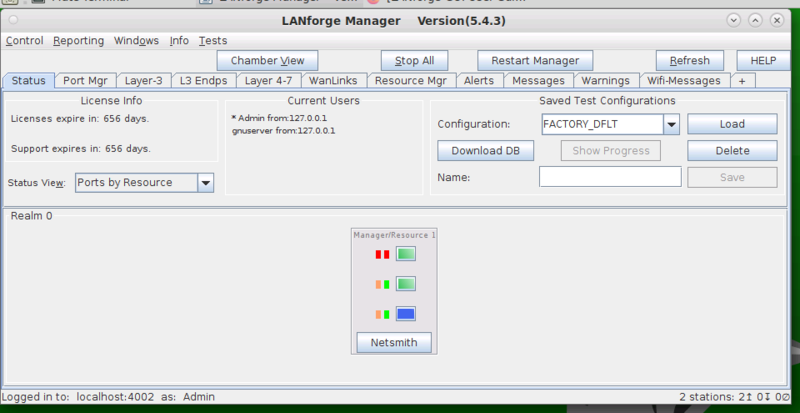 Click the Apply button to commit the changes in Netsmith to the LANforge Server. 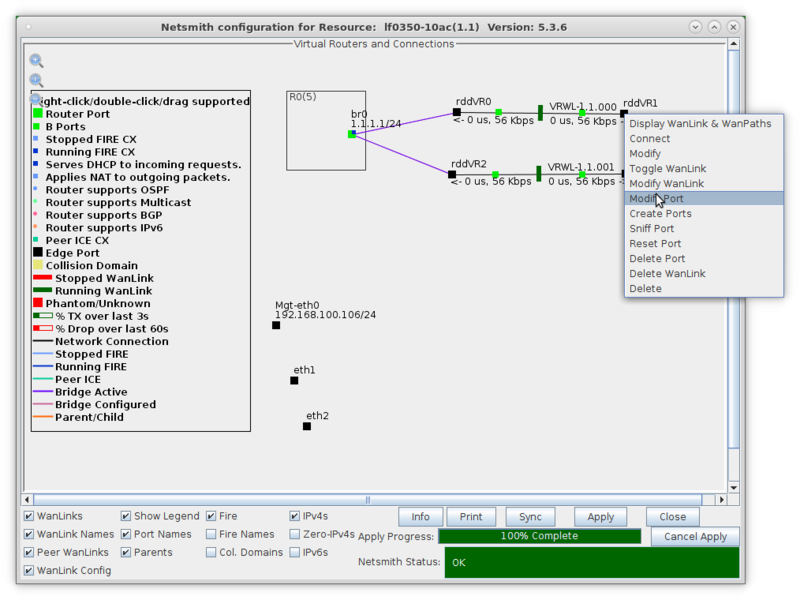 Right-click to toggle the WanLink status to Running (green). 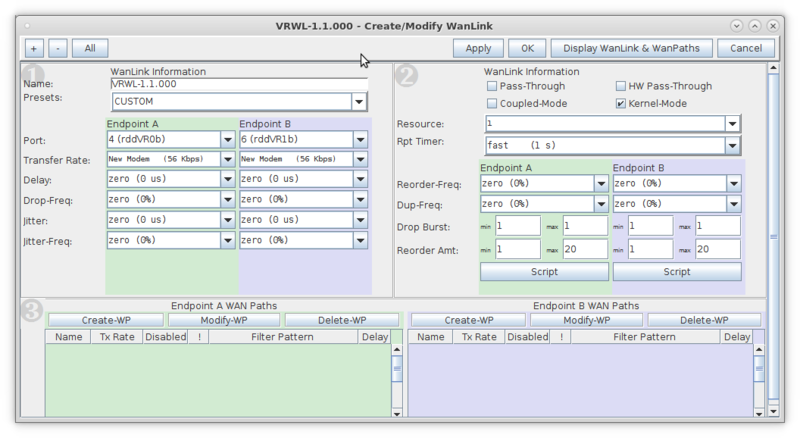 Repeat for the second WanLink and set it to Running (green). 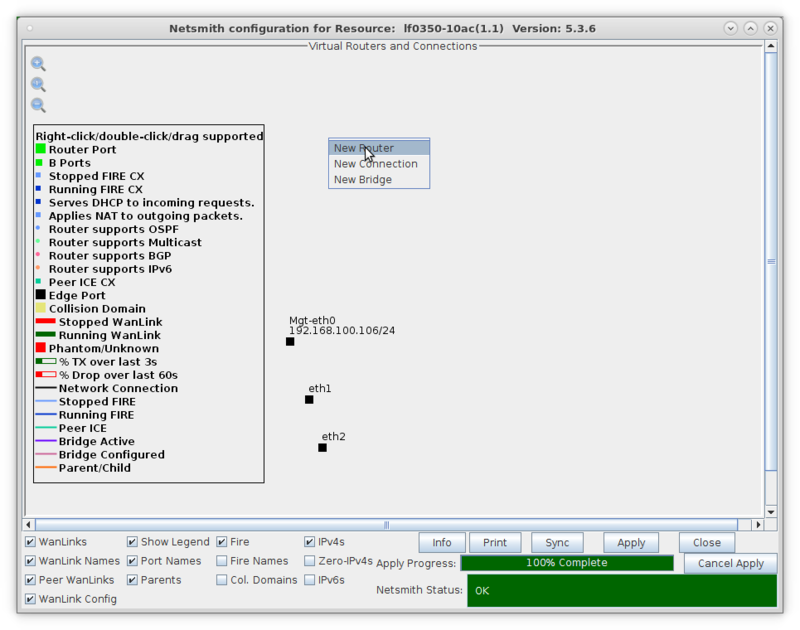 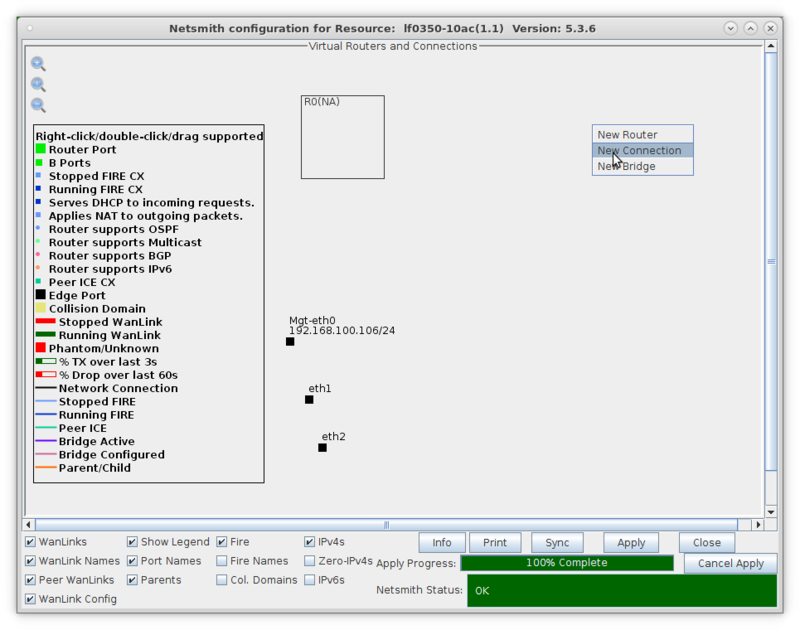 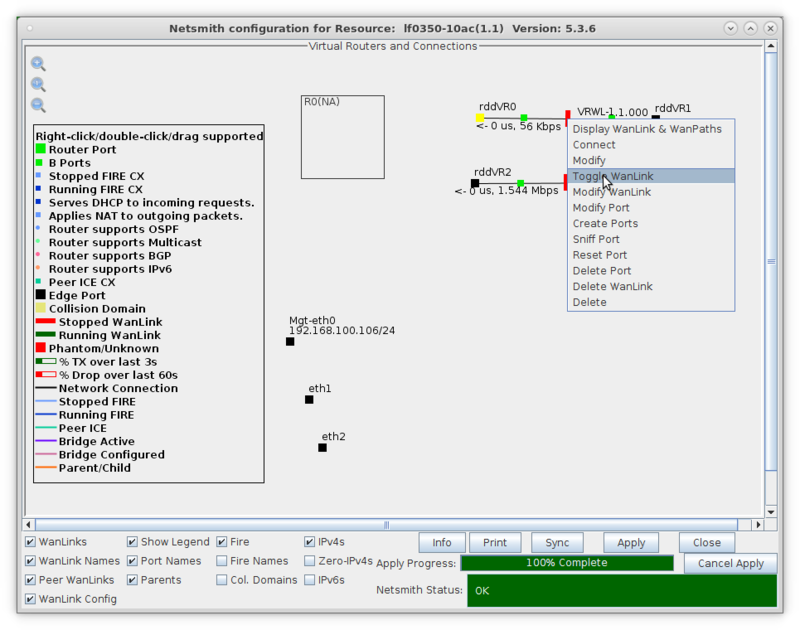 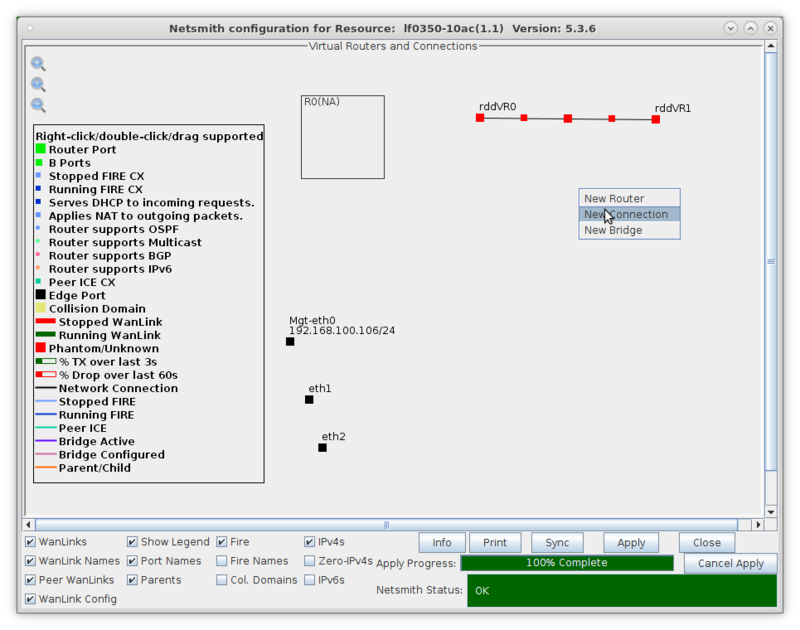 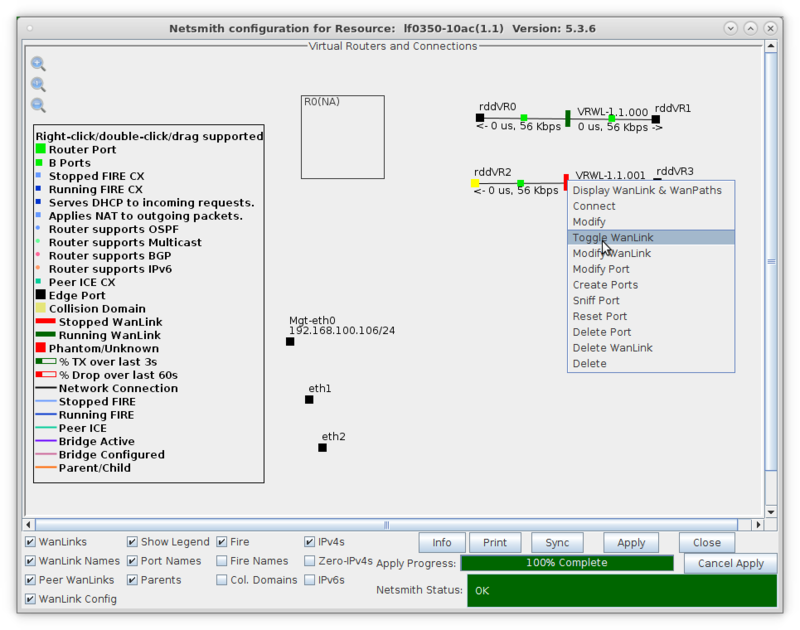 NOTE: You will have to click the Sync button for your newly created bridge port to appear in the Netsmith window. 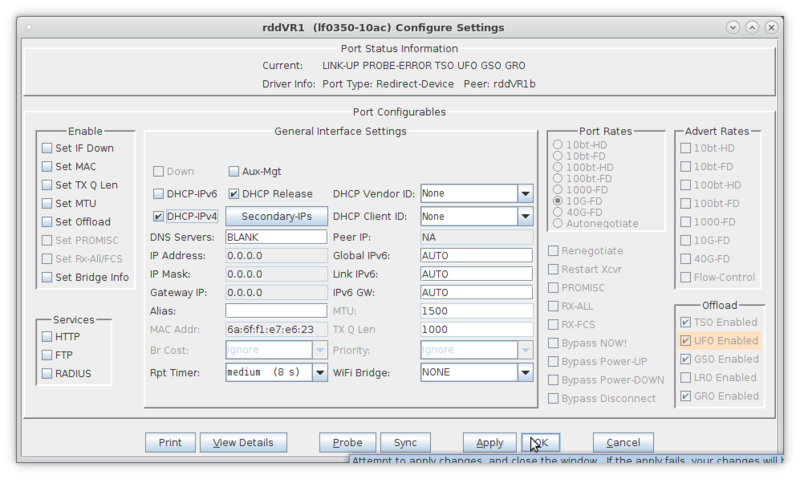 Setup DHCP Server and Clients. 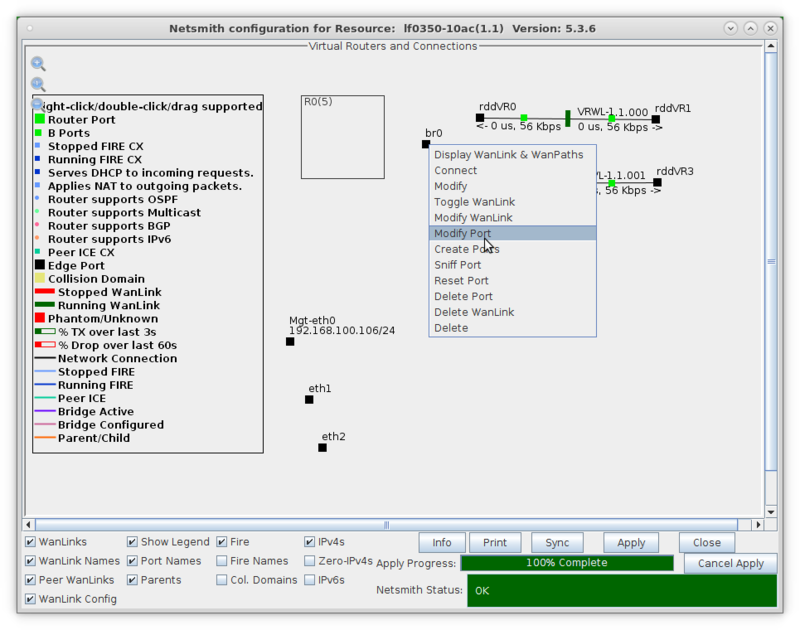 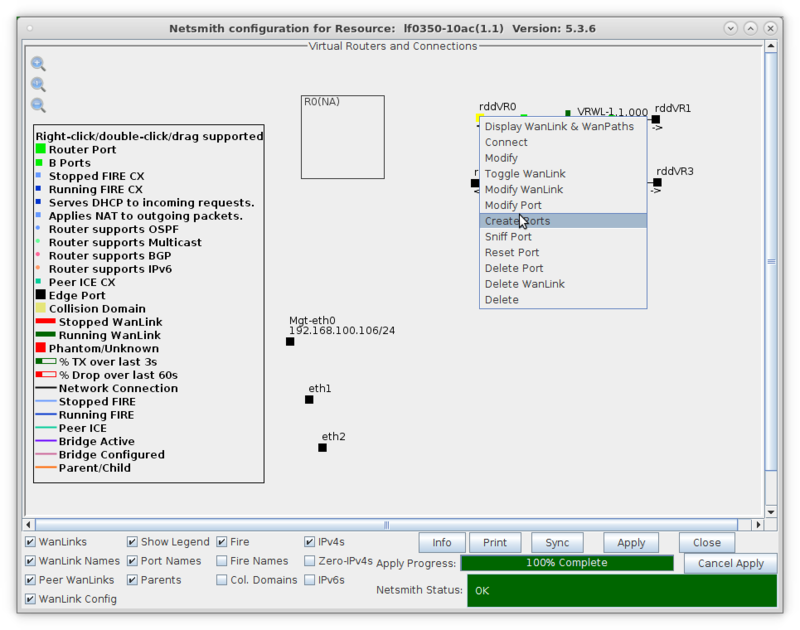 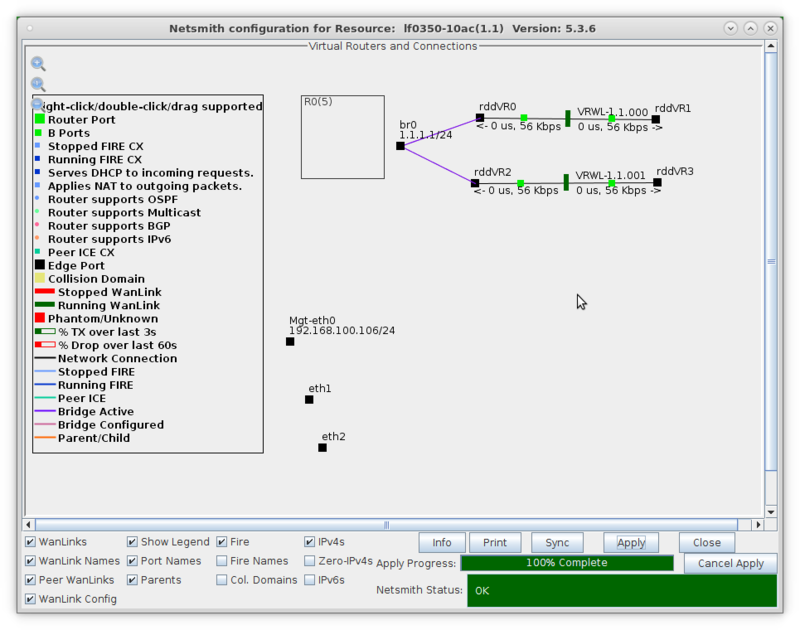 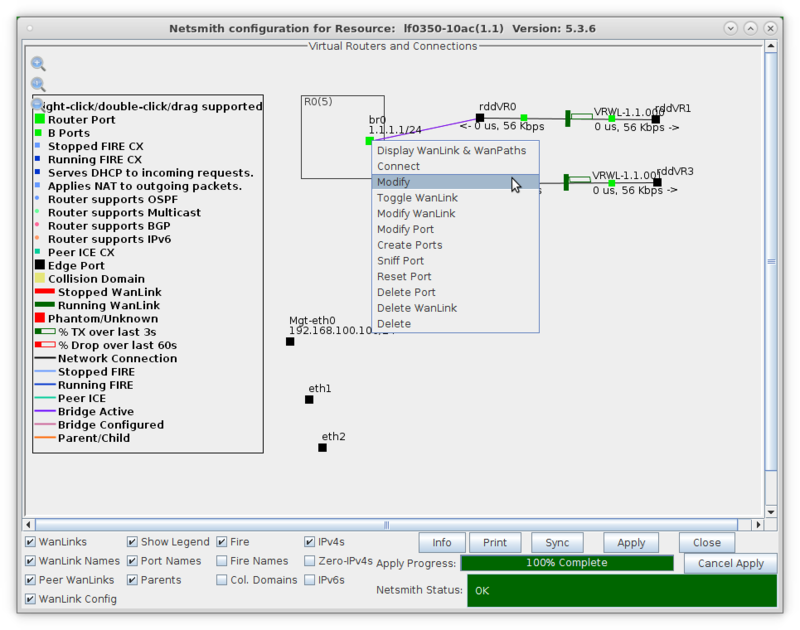 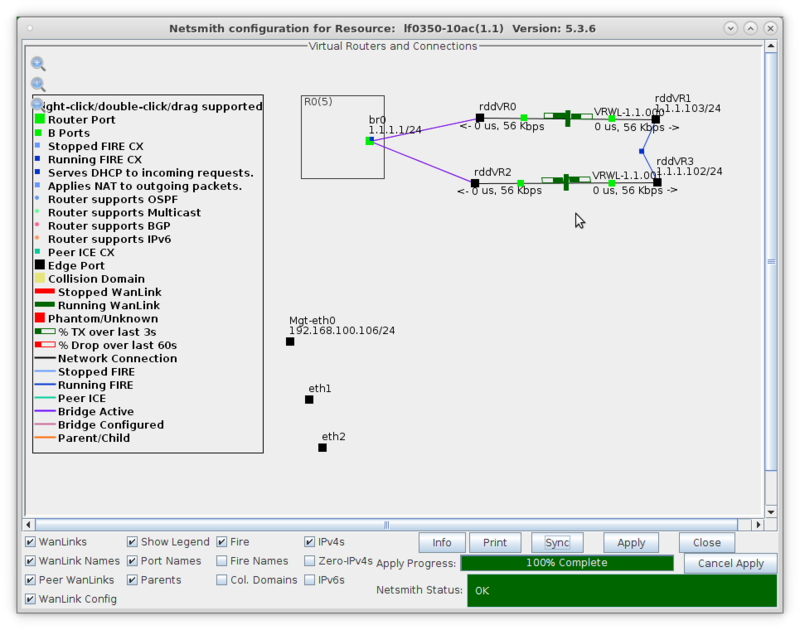 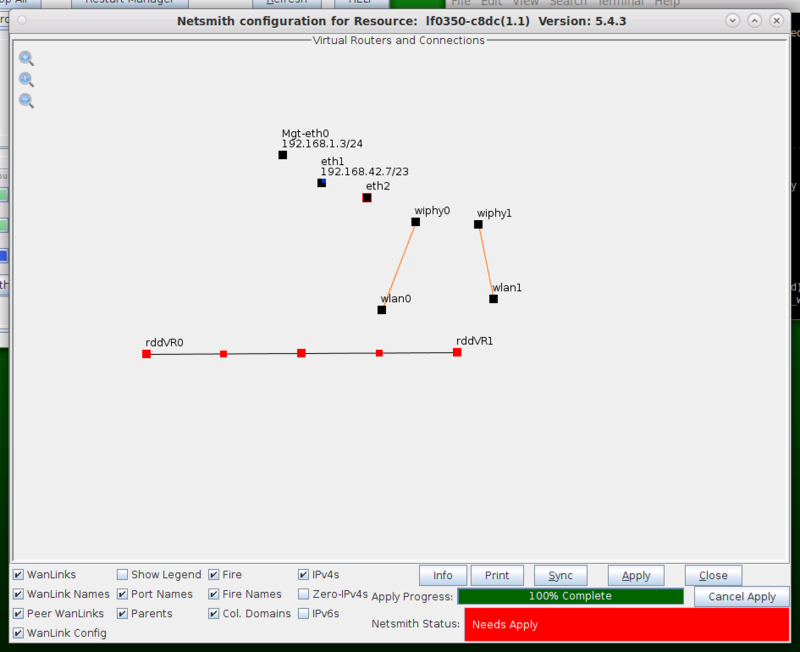 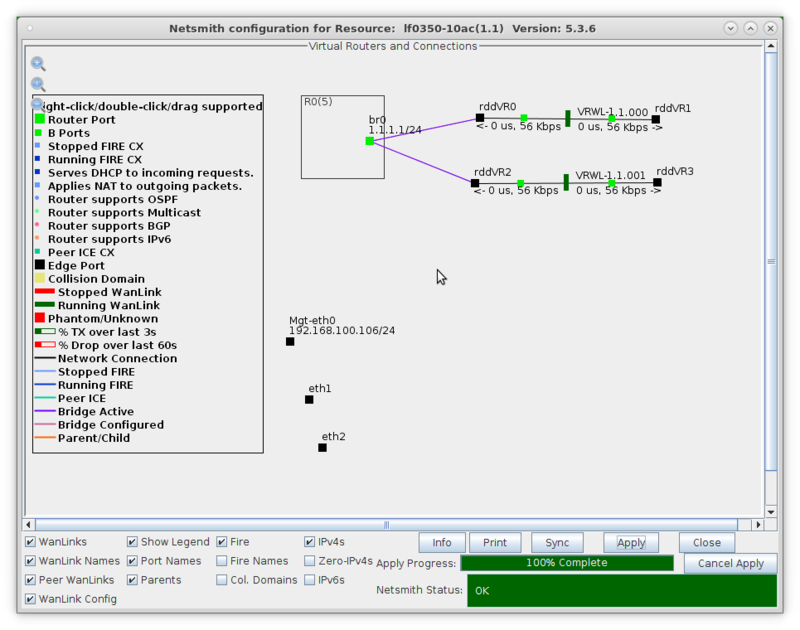 Drag the bridge port into the virtual router. The RDD-FIRE connection for this example will use interfaces rddVR1 and rddVR3. 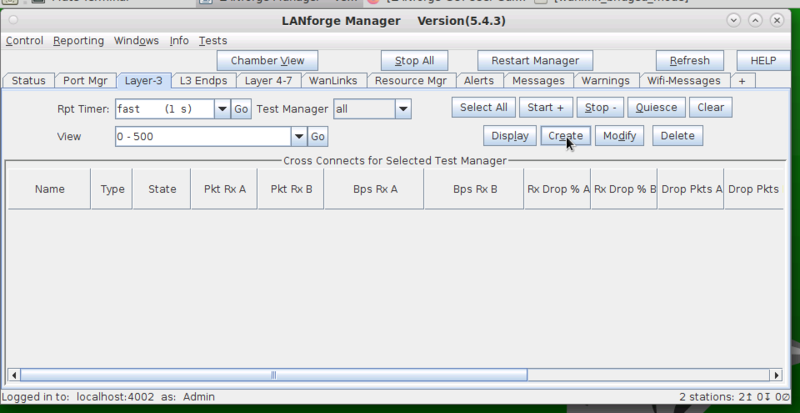 Run LANforge-FIRE to yourself through LANforge-ICE!